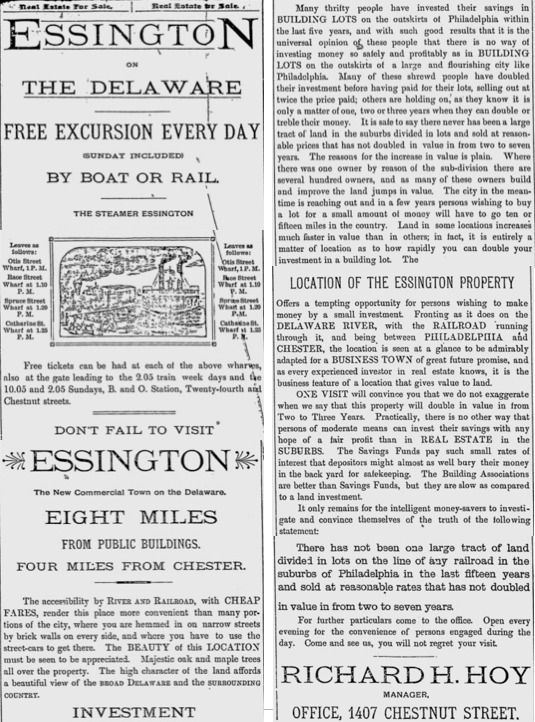 In 1890, The Philadelphia Record ran a series of advertisements promoting weekend excursions to Essington. Described as "the new commercial town on the Delaware," Essington was beginning to open up for residential purposes as quarantine operations were coming to a close. 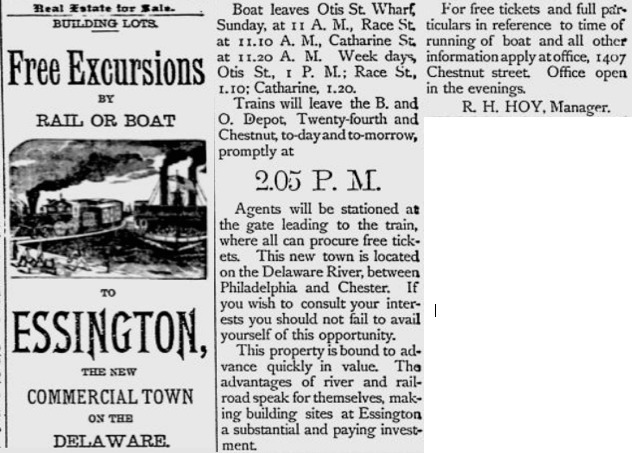 The real estate agency promoting the sale of lots in Essington offered free boat and rail tours to Essington leaving from various places in Philadelphia.